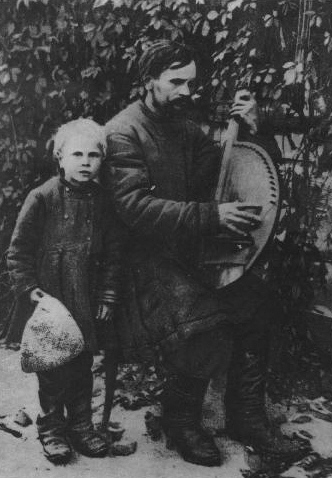 Kobzar Demian Symonenko with his guide or povodyr. Photo taken in 1915 in the Stol'nyi region. While Symononko's bandura is similar in type and dimensions to the bandury or Pasiuha and Veresai, his technique comes closer to that used by today's performers.